On a stormy night off the coast of Scotland, young David Balfour faces his most terrifying test yet. 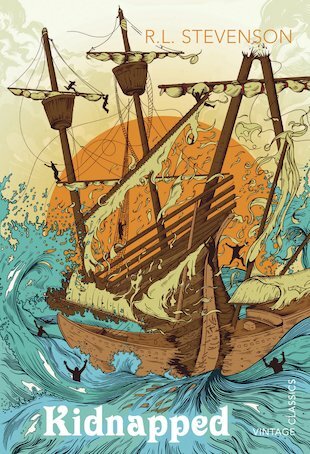 He’s been double-crossed by his wicked uncle, tricked into a sea voyage and sold into slavery. When the dashing Alan Breck Stewart comes aboard, he finds a brave friend at last, and the pair fight back against their treacherous, black-hearted shipmates. But when the ship hits a reef, it’s every man for himself – and David must battle against the raging sea itself! Robert Louis Stevenson was the author of classic tales of adventure including Treasure Island.